The Town of Mammoth Lakes provides free year-round bus service throughout Mammoth. 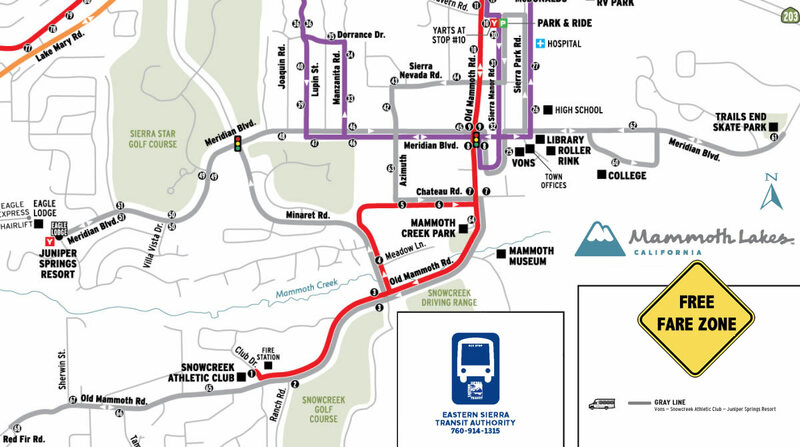 This Route goes from Vons (Supermarket) to Snowcreek Athletic Club, to Juniper Springs Resort. NOTE: The Gray Line will cease operation following December 16, 2016. Service to the majority of this route will continue to be available via the Red, Green, and Purple Lines.